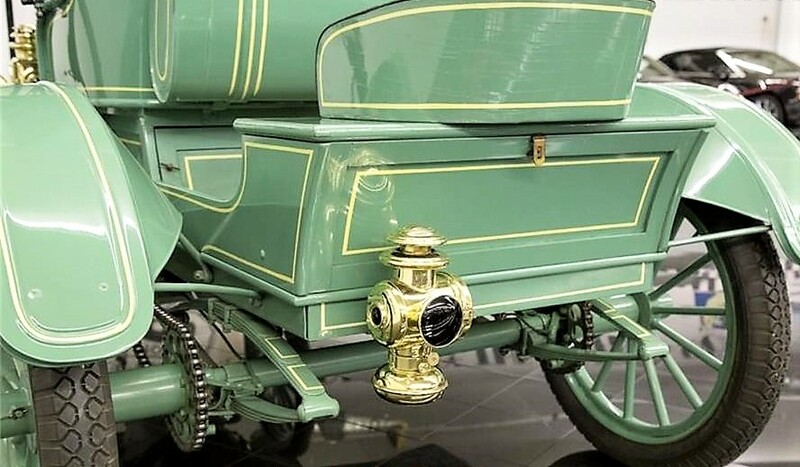 There were scads of manufacturers in the early days of motoring, many of them bicycle and carriage makers who branched out into the newfangled automobiles. One of them was industrialist Charles Metz, whose Waltham Manufacturing Co. in Massachusetts was a major bicycle company. 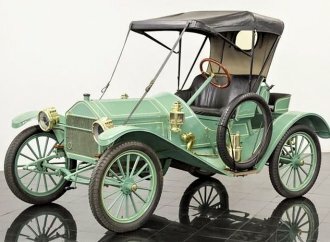 In 1898, Metz tried his hand at cars and motorcycles, and in 1909 began producing cars in Waltham under his own name. Metz automobiles were built through 1920. 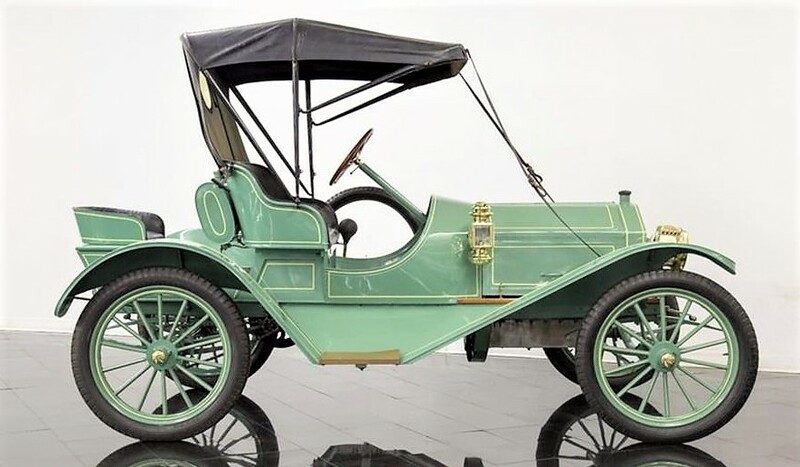 The Pick of the Day is a 1912 Metz Model 22 roadster, a handsome brass-era car with an older restoration that has settled into attractive patina, according to the St. Louis, Missouri, dealer advertising the antique on ClassicCars.com. 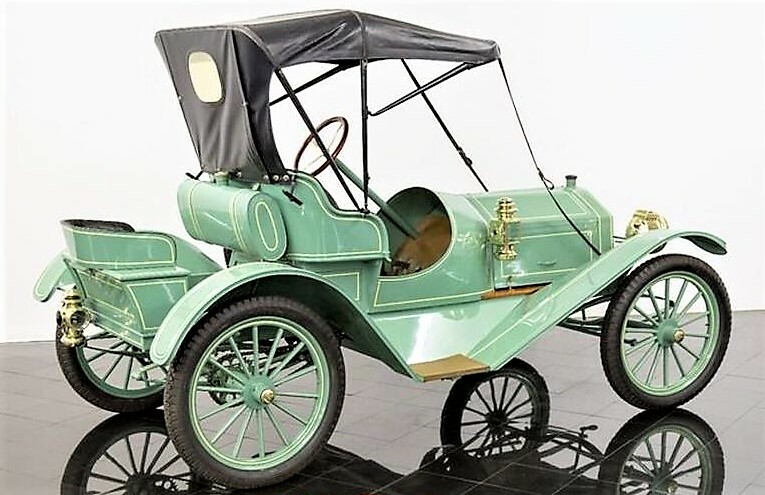 “This 1912 Metz Model 22 roadster is an older and very well-preserved restoration of a complete, authentic and original car,” according to the ad. 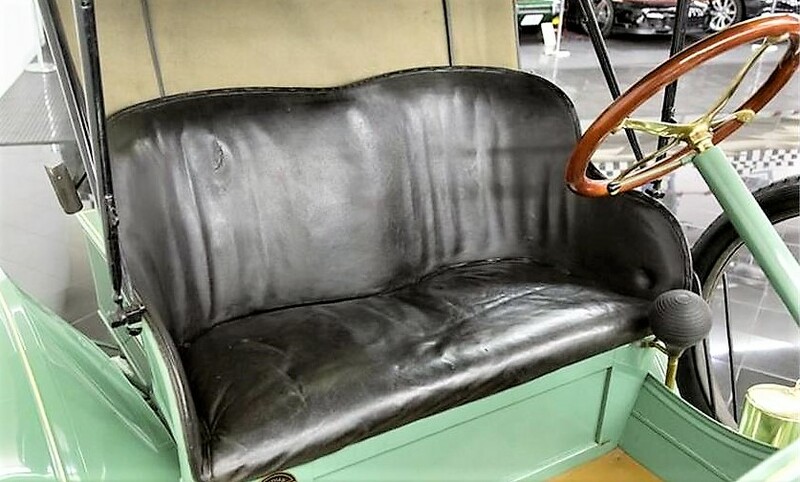 The Model 22, so-named for the horsepower rating of its 4-cylinder engine, is a sporty number configured with a pair of bucket seats up front and a single “mother-in-law” seat in back. The speedster look was meant to resemble racing cars of the day. The Metz is highly authentic, the seller says, and appears to have been well-kept over its lifetime. The restoration is believed to have been completed in the 1960s. “Today, many brass-era cars have been assembled from a variety of new and original parts, however, this 1912 Metz appears to have always been a complete and well-cared-for example,” the seller says. “Although its early history is unknown, this Metz Model 22 roadster spent a good portion of its later years as part of an auto museum on the East Coast. Later, it became part of another well-known East Coast collection of fine brass-era automobiles. 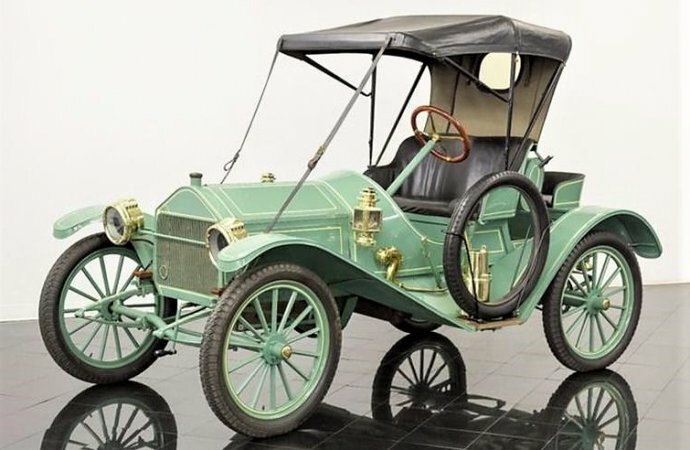 Antique cars such as this Metz have been gaining in popularity as collectors seek to experience the simple pleasures and challenges of driving and maintaining century-old automobiles. The beautiful roadster would open a new world of collector car comradery, permitting entry into such active groups as the Horseless Carriage Club with their many tours and events. While a Ford Model T carburetor has been fitted to the engine for improved drivability, the roadster is otherwise in original fettle. The tires on the tall spoked wheels are old, the seller advises, and should be replaced before heading out. The Metz is a rare find that looks very presentable in the photos with the ad, and priced at $32,900. I’ve seen this car before, many years ago. Perhaps it was once on display at the now long defunct Zimmerman’s Auto Museum in PA.
What a cool car! Does anyone know if the driver of the car is expected to enter the cab from the passenger side? Since the spare tire is situated in a way that it partially blocks the driver’s side access, it seems logical that they would enter from the right. I wonder why the manufacturer chose that position instead of at the rear of the car like so many others? If this car could talk, what a story it would tell ! 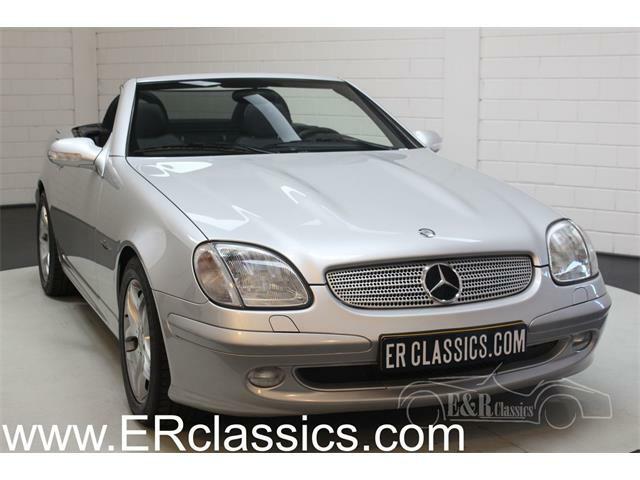 Love the look of this car, very upscale and I would love to own it.